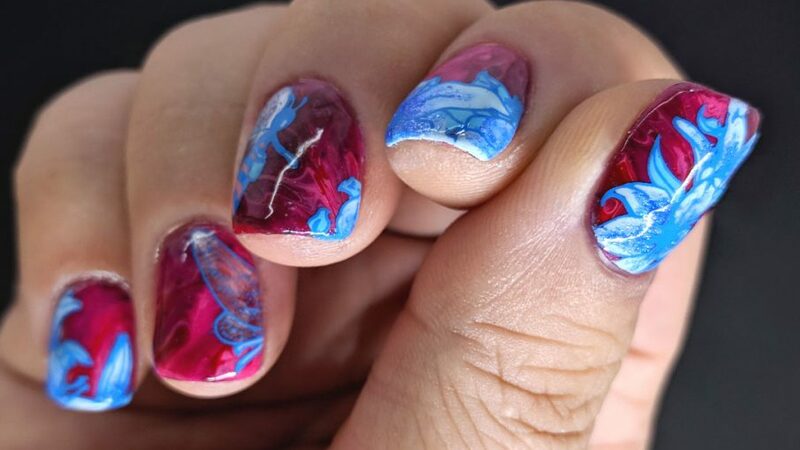 Indie polish. Released as part of Colores de Carol’s Valentine’s Day Trio. 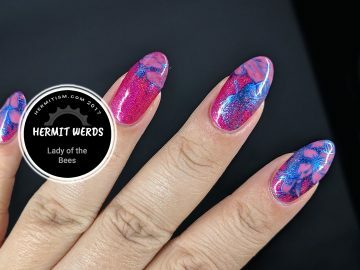 Cupid’s Vacation is a pink-ish red linear holographic with micro holo black glitter, iridescent shimmer (gold to green to blue) and multi-chrome flakes (teal, purple, blue).